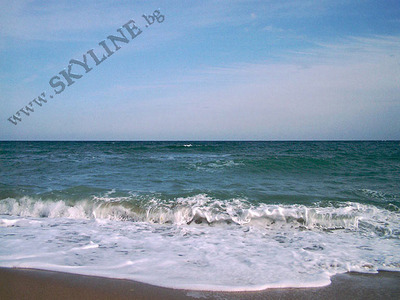 The town of Byala is situated on the Black Sea coast and its unique combination of climate and location favors both seasonal and all the year round residence. Byala is a town of favorable geographic and natural location, with health and children-care establishments, stores, restaurants and cafes, bank offices and a post-office. Regular bus and communication services are provided there. The E-87 international route passes through the town connecting Varna and Bourgas. The Port of Byala is the only seaport between Varna and Nessebar, which can provide standard port services, and where sport boats and private vessels can call. The Bay of Byala thanks to its location and the wind rose favors the development of sporting activities such as yachting and windsurfing. During the last several years the Bay of Byala houses championships in yachting and windsurfing in summer. The Belite Skali Locality is situated nearby. It is famous for its archaeology sights – artifacts of dinosaurs, which lived here thousands of years ago and historical rem ains haunted with the spirit of sea battles of ages passed.